jQuery UI is a curated set of web user interface components developed above widely used jquery library. This includes web controls to support different type of data from user. jQuery UI has detailed documentation and they are easy to implement and manage. It is written above jQuery library and uses its features to provide better user interface web components. enabling better user interaction capabilities with ease. 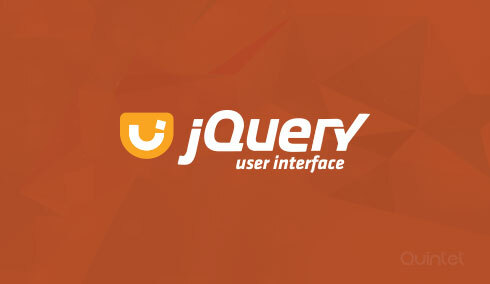 jQuery UI library also includes additional features to enhance user interface by the means of animations and widgets. They consist of different themes and options to customize and create our own theme that can match the website template. jQuery UI also provide an option to download plugin after customization. This option can be used to make sure the usage of minimal version of library and do not include any unused components of library. Jquery UI is backed by a community of developers and bug tracking system to make jQuery UI bug free and up to date. We have exceptional expertise in using most of jquery UI library. Our developers and designers work together to make sure that only required components of jquery UI is used. This is to have reduced webpage size and hence improvement in performance. Extra care is taken to make sure that it works well on responsive websites as well. jQuery UI plugins are portable and easy to integrate on multiple websites. We have competitive developers experienced in deploying projects involving jquery UI library. We can successfully done integration of jQuery UI into websites regardless of server side scripting or CMS used. Great attention will be paid to have great user experience, diverse device compatibility and optimized web page file sizes. jQuery UI custom theme development. jQuery UI provides options to download custom themes. But they are not compatible with modern flat designs like the one used in Bootstrap 3. In this situation we can create modern themes which can get along perfectly well with your web page design. Our experience in creating responsive themes will enable us convert your pages to responsive designs. jQuery UI plugin and widgets development. If you are stuck with modification that needs to be made in more than one place?. We can create plugins so that it can be used in more than one place with ease. We do have experience in creating widgets using same abstraction as jQuery UI components. The jQuery UI widgets use same patterns and its properties can be defined in a single place. Widgets are usually useful to input data in a particular format like time, tags and also to present information in a particular format. If you have any need a custom input format or interface ideas, we can provide you suggestions which make use of jQuery UI components. While making jQuery widgets, we will make sure that it’s compatible to jQuery UI theme and changes made in the theme will be reflected in the the widgets as well.